Island Drilling was established in 2006 to build and own special purpose semi-submersible rigs for heavy well intervention operations, including coil tubing operations, through tubing rotary drilling (TTRD), and later converted and approved as drilling rig. The company took delivery of the rig from China’s Cosco Zhoushan Shipyard in 2012. 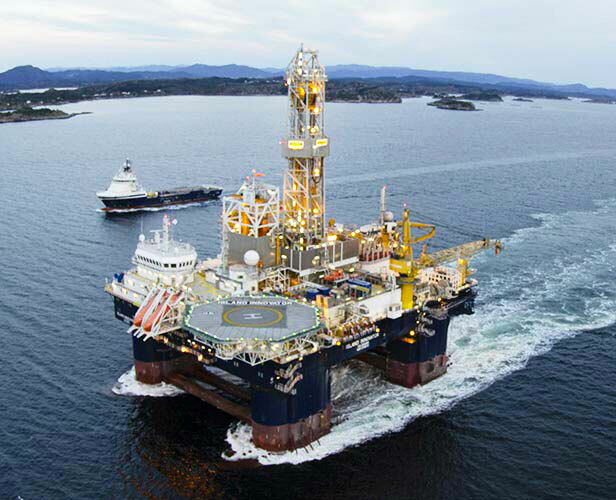 After successfully drilling 21 wells since 2013, the vessel has proved its ability to operate in harsh environment covering the North Sea, Norwegian Sea and the Barents Sea. Island Drilling Management ASA is Manager for Island Innovator, according to requirements of ISM code. - A drilling contractor for the future. The company has currently one semi-submersible drilling rig constructed at China’s Cosco Zhoushan Shipyard, for delivery and classing in 2012. The rig adheres to NORSOK requirements. Mr. Mohn is a Norwegian businessman and philanthropist. He was the owner and chief executive officer of the family-owned company Frank Mohn AS. Presently, Mr. Mohn is Chairman for Frank Mohn Fusa AS, Chairman for Frank Mohn Services AS, Chairman for Wimoh AS and Chairman for Meteva AS. Mr. Mohn is also on the board of SpareBank 1 Nord-Norge and Norsk Treningshelse AS. He gained his degree in Economics at University of Mannheim, Germany in 1970. Mr. Chouest serves as the Chief Executive Officer and President of Offshore Service Vessels, LLC (formerly, Edison Chouest Offshore L.L.C.). Mr. Chouest working in Edison Chouest Offshore L.L.C. and related companies since 1965.Through this position, he’s played a foundational role in shaping the Gulf Coast’s deepwater boat industry into the booming business it is today. He is a Manager of Island Offshore Shipholding LP. Our QHSE culture shall reflect that we are always watching out for the unexpected, that we will manage and control risk, understand what we are doing, and always be open to proposals and improvements. We believe in improving attitudes by influencing the individual employee, so that the organisation can be systematically steered towards a good and forward-thinking safety culture and so that QHSE is in focus in everything we do.